Schools needing money is not a novel concept and school auction themes can add another element needed to help improve fundraising results. They can be fun and attract a variety of people who might not otherwise get involved. This brief list does not begin to cover all the reasons your school may hold an auction... But what it does show is that school auctions serve various and important needs where maximum participation is important. Or if school photography equipment is needed, you might use a theme such as “Lights, Camera, Action”. With a little creativity and forethought you can think up catchy names for just about any school auction. Just relate the purpose of your auction to a popular name or phrase everyone can connect with. As you know it can cost an awful lot of money to provide students with all the latest tools they need to succeed. Before computers... it was books, paper and pencils that accounted for most classroom needs. And these items were usually available at nominal cost and parents could help when needed. With the advent of computers, pocket calculators, electronic organizers and other gadgets, all that changed. Education is very much a part of the global information grid and most school budgets are under a severe strain. They still need paper and pencils, but they also need computers, network infrastructure, DVD library resources, video cameras, printers etc. Most school district budgets have been unable to keep up with the need. School auctions have been one of the proven fundraising methods used to help schools and students stay afloat. Ka-ching ! 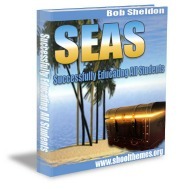 is the name of the game and using cleverly designed school auctions can help ring in success. It doesn’t really matter how or where the auction is held but school auction themes should promote maximum participation from students, staff, parents and your community to have the greatest impact. Themes help maintain awareness of your auction's purpose and this builds on a natural... "we want to help" thinking that can fill your cash registers. 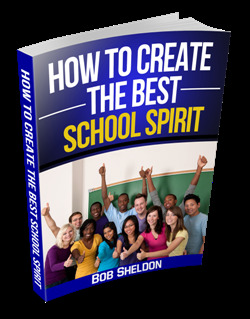 School auction themes can make fundraising efforts a very rewarding experience. Not only do themes help increase your success rate, they also provide opportunities to generate additional school spirit and increase community awareness. Live auctions can be especially entertaining events and creative themes just increase the level of enthusiasm. In fact they truely find it unbelievable... So, this auction theme idea might be another opportunity to let everyone know just how much help is really needed. You never know until you ask ! 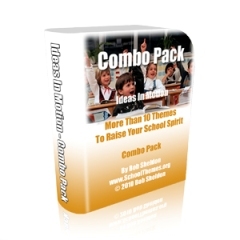 Your school auction themes titles should relate to the specific purpose of your auction. All themes are in fact... "ideas in motion" so let your creativity wheels spin as you promote and maximize community support. If you are considering a school auction... search for a theme title that applies to your school's goals and needs... You will find it to be a very rewarding experience. Leave School Auction Themes and Get Your School Theme!